The BEING CO2 Incubator enters the US market with Value written all over it. 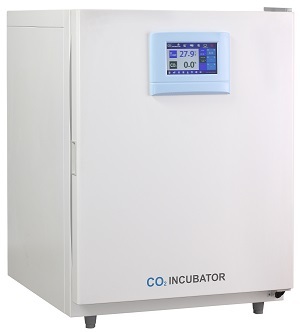 There is no need to over spend for a quality CO2 incubator anymore. BIO series offers CO2 your precious cells an ideal environment for growth. Âž Color LCD displays temperature and CO2 % along with other important parameters. Âž CO2 is accurately regulated with our IR sensor being standard. Âž A stainless-steel interior with coved corners makes for easy chamber cleaning. Âž Heated inner glass door minimizes condensation. Âž Independent temperature system provides safe guard in case standard controller fails in preventing over temperature issues.